This spacious one bedroom ground floor flat is offered for sale with no ongoing chain, situated in a popular residential area with attractive communal gardens. 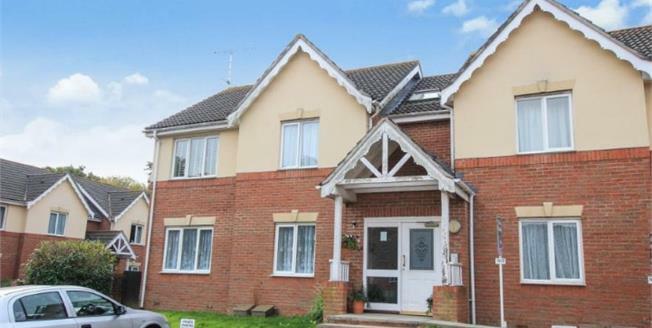 The accommodation comprises bright and airy lounge, modern fitted kitchen, bathroom and double bedroom. Outside there is ample visitor parking and an allocated parking space for the flat, there are attractive private communal gardens. Security entry phone system, front door, sealed unit double glazed back door leading to the communal secluded rear gardens. Frosted window to rear aspect, panel enclosed bath with hot and cold mixer taps and shower attachment, shower curtain, pedestal wash hand basin, low level WC, part tiled walls, mirror fronted medicine cabinet. Mainly laid to lawn, enclosed via fencing and trees, gated side access, ramped rear access via a double glazed door. Head west on High St/A283 toward Brewers Yard continue to follow A283 go through 1 roundabout 0.4 miles. At the roundabout, take the 2nd exit onto Spierbridge Road 0.1 miles. Continue onto Hormare Crescent for 430 ft. Turn right onto Steyning Crescent 358 ft. Take the 2nd right to stay on Steyning Crescent Destination will be on the right hand side.